Thank you to those who participated in our recent CPD & Events Preferences and Frequency Survey. We’re working through your feedback and will be developing a comprehensive calendar of seminars and workshops, providing you with extensive opportunities to continue your professional development. Join Dr Simon Meagher, Prof Jon Hyett, A/Prof Lisa Hui, Dr Fred Ushakov and others at this exclusive event that includes first trimester fetal malformation, Aneuploidy screening (FTCS, NIPT exome) and screening for adverse pregnancy outcome (PET IUD IUGR). This symposium will provide an understanding of the sonographic approach diagnosis of minor and major fetal malformation 8-14 weeks gestation. An exclusive 2-day event that will be useful for Sonographers, Maternal fetal medicine specialists, Obstetricians, Sonologists, Radiologists, Midwives. We invite you to this paediatric event where Cain Brockley, Chief Sonographer from the Royal Childrens Hospital in Melbourne, will be presenting. Cain has a special interest in hip, eye and liver transplant ultrasound and will be sharing his knowledge in these area’s along with live scanning. Taking place at the new Children’s Hospital in Perth, this is an event you do not want to miss out on. Earn yourself CPD Points. ASUM New Zealand Branch warmly invite you to attend the Annual Meeting at Trinity Wharf, Tauranga in the beautiful Bay of Plenty. The programme will feature respected international presenters, ASUM President A/Prof. Fred Joshua who pioneered rheumatical ultrasound in Australia, as well as Sydney based Gynaecologist and Obstetrician Karen Mizia. Don’t miss out on the cocktail party on the first evening, giving you a great opportunity to network and catch up with colleagues, old and new! This event forms part of the CCPU Neonatal course. You need to be enrolled in the CCPU Neonatal module and be a current financial member to register for this event. This course is aimed at those already enrolled in the CCPU and undertaking training in Neonatal Clinician Performed Ultrasound. The course will enable candidates to appreciate the knowledge and skills required to perform bedside ultrasound. On completion candidates will be in a position to start learning neonatal ultrasound in their own clinical environment. 27 July 2019 - Registration opening soon! Registration for this exciting Vascular event will be opening soon, watch this space! This course is aimed at those who have completed the requirements of the Basic unit “Introduction to Neonatal Ultrasound Workshop.” Candidates will be introduced to more advanced concepts and teachings. The Lung Ultrasound Module will be held on Friday 6th and Saturday 7th September 2019 and is incorporated into the Neonatal stream at the World Federation for Ultrasound in Medicine and Biology (WFUMB) 2019 Congress, hosted by ASUM, in Melbourne (see the next event’s details below). Last month of early bird registration! The World Federation for Ultrasound in Medicine and Biology (WFUMB) and the Australasian Society for Ultrasound in Medicine (ASUM) is excited to invite you to Melbourne for the 17th World Federation for Ultrasound in Medicine and Biology Congress. Join Prof. Liza Thomas, A/Prof John Atherton and other cardiac specialists* at Westmead Education and Conference Centre for this educational event comprising of a series of lectures delivered by national experts. *Presenters include A/Prof Arun Dahiya, Dr Sandhir Prasad, Dr Chris Semsarian, Ada Low and more. The meeting is aimed at cardiologists, physicians, radiologists, general practitioners, sonographers, registrars and residents. 9 November 2019 - SAVE THE DATE! Concurrent streams, CPD points, great speakers! This is the 2nd annual event in Bunbury, providing a great weekend opportunity to learn, network and relax. Save the date as registrations will be opening soon. If you would like to unsubscribe from all ASUM communication, click here to login to myASUM and change your preferences, or email membership@asum.com.au. 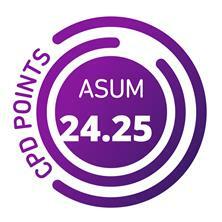 To unsubscribe from ASUM CPD & Events News only, click the Unsubscribe link below.